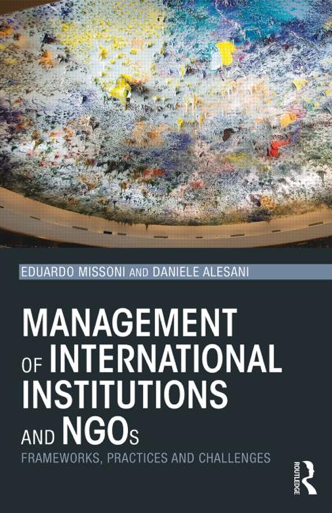 Eduardo Missoni | "Faccio del mio meglio per lasciare il mondo un po' migliore di come l'ho trovato" – "I am doing my best to leave the world a little better than I found it"
Global Health Governance and Policy. An Introduction. Looking in depth at some of the more significant links between neoliberal globalization, global policies and health, Global Health Governance and Policy: An Introduction discusses some specific health issues of global relevance such as changes in the ecosystem, epidemics and the spread of infectious diseases, the global transformation of the food system, the tobacco epidemic, human migration, macroeconomic processes and global financial crisis, trade and access to health services, drugs and vaccines, and eHealth and the global “health 4.0” challenge. 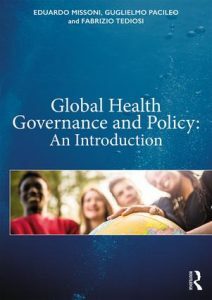 Written by a team of experienced practitioners, scientists and teachers, this textbook is ideal for students of all levels and professionals in a variety of disciplines with an interest in global health. 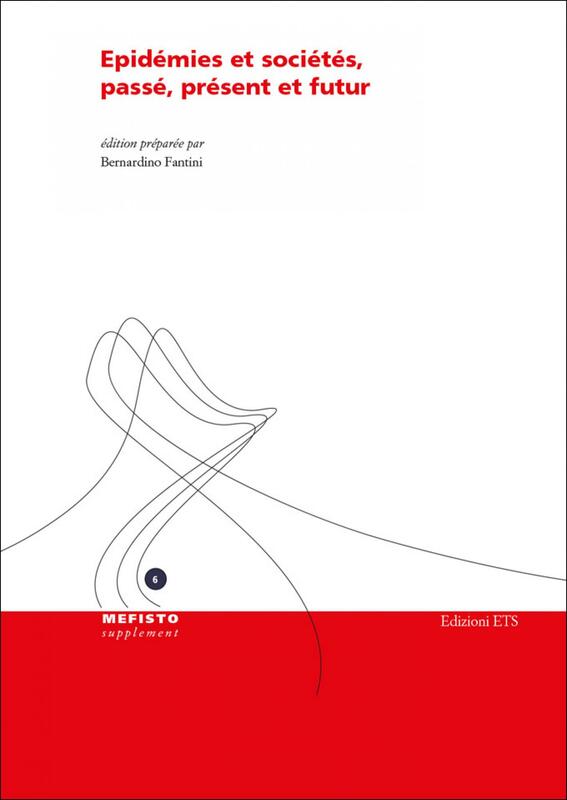 The book edited by Bernardino Fantini, professor emeritus of the University of Geneva,“Epidémies et sociétes, passé, présent et futur” (with contributions in French and English) was published at the beginning of the year. 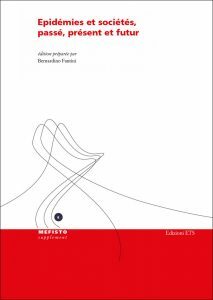 The book also contains my contribution (in English) on the political economy of epidemics. 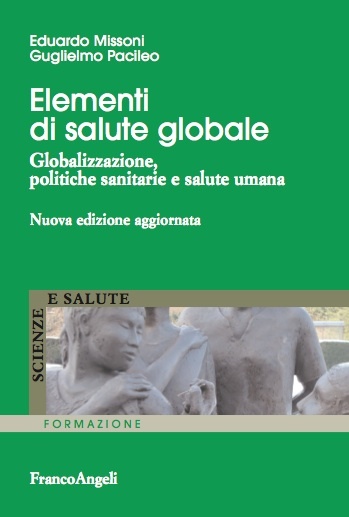 In my chapter, I propose an analysis of epidemics based on the social, political and economic determinants of old and new epidemics, including non-communicable diseases that have increased in an epidemic fashion. The determinants of old and new epidemics, are deeply rooted in the way societies are structured. Populations’ aspiration to the highest attainable standard of health is in constant conflict with the dominant modes of production, distribution and consumption of goods and services, which are driven by profit and unsustainable economic growth goals. The acceleration of globalization has modified the spatial and temporal spread of diseases, increasing the complexity of the analysis and adding challenges to possible responses to epidemics. The paper analyses power and influence relations of various societal sectors, and their shaping of social and environmental determinants of epidemics. Related global govern- ance and public policy issues are equally presented. It argues that response to epidemics cannot be reduced to merely a biomedical or technical problem, seen in isolation and dealt with only through medical rescue processes and public health interventions. Up- stream causal processes need to be addressed. This requires questioning the hegemonic development model, and a combined global, national and local action to modify the drivers of human development, making populations’ health the priority of public policies in all sectors. my family has old maritime traditions. This year my father, last “sea captain” of his ancestry, set sail toward the infinite. He taught me “set your course toward far horizons and firmly keep the helmstock in that direction” and he taught me generosity; also his last words were: “Is there something I can do for you?”. Today humanity is not navigating in calm waters, indeed it seems it has lost the compass. The mantra of economic growth, continuously pushes a dazed humanity indiscriminate consumption, independently from the real needs of individuals and communities. Humanity is slave of globalised economic interests and suffers the consequences of that “development” model: increasing inequalities in the distribution of resources, armed conflicts and social tensions, environmental degradation, dramatic climatic changes. Interchanging ideas with my younger friends I share with them the need to have the chance to dream and design a different future. This is why I wish us all, not to resign to a world that is not as we wish it. Surely there is something that we may do for others, for humanity and the part of it which lives in every individual, for the Planet which belongs to all, and to which we all belong. Let’s imagine a different future and we will also be able to draw the course toward that horizon. Let’s firmly keep the ethical helmstock of our values and surely we’ll navigate in the right direction. Best wishes! Fair wind (and calm seas) in 2016! Paper presented by Eduardo Missoni at the ESTM residential course “Learning the best ways for caring fro blood donors”, European School of Transfusion Medicine, Milano, Italy, 3-5-12-2015. “NAPLES, Italy – One azure morning in December, Laura Cozzolino arrived at her corner cafe in central Naples and ordered her usual: a dense espresso, which arrived steaming hot on the dark marble counter. She lingered over the aroma, then knocked it back in two quick sips. But instead of paying for one coffee, she paid for two, leaving the receipt for the other -a caffè sospeso, or suspended coffee- with the bartender for a stranger to enjoy” (20). The “caffè sospeso” (Italian for a suspended or unaccomplished coffee), is a Neapolitan tradition that boomed during World War II and has found a revival in recent years during hard economic times. According to that tradition in Naples someone who had experienced good luck would order a “caffè sospeso” paying the price of two coffees but receiving and consuming only one. A poor person enquiring later whether there was a “sospeso” available would then be served a coffee for free. What motivates such a simple, anonymous act of generosity? Open-source initiatives are another example of attitude toward donation. Open source initiatives appear in many forms, however two primary types can be identified: open source software and open source content: i.e. the creation of a body of knowledge, such as online discussion forums, consumers’ reviews, collaborative website tagging, online encyclopaedias, and others (18). Both open-source software and content projects are a collaborative endeavour of individuals, mostly young people, who volunteer their time, effort and skills to produce a product that is available to all. What is the vision they share leading to offer their time and expertise for free? In London in 1909 a “Scout offered to show the way to a gentleman as his good turn for the day. When the stranger offered to pay for his trouble, of course the Scout said: No, thank you, sir. I am a Scout” (Baden-Powell (4)). A surprising answer to the foreigner; in that situation he would have rather considered normal for the young boy to accept the proposed reward for the service. What does it mean “I am a Scout”? The choice of generously donating, without an evident and immediate return characterises the three above referred experiences, and many more examples of similar individual and collective behaviours could be proposed.However, those practices contrast strongly with the characteristics of contemporary society which is predominantly based on exchange, and where giving is based on reciprocity -“do ut des”- and search for personal advantage, individualism and narcissistic consumption. Indeed, the acceleration of the process of globalisation has pushed a process of cultural homogenisation, along with the adoption of a Western, neoliberal development model, based on the dogma of economic growth, competition and maximisation of profit, which in turn requires indefinite and unsustainable consumption of resources and production of waste. Zygmunt Bauman’s “I consume, thus I am” well synthesises this contemporary way of recognising the existence of the human being. Indeed, the networks of human relations have been colonised by the devotion to consumption. The traditional sense of responsibility of ethical duty and moral concern for others, are transferred toward oneself, personal success and forecast of possible risks. “Responsible choices” today are associated with decisions that respond to the interests of the Self and answer to its wishes (5). In contrast, increasingly young people spontaneously join to actively work for alternative structures and functioning of modern society, networking and organising around shared principles of cooperation and solidarity. 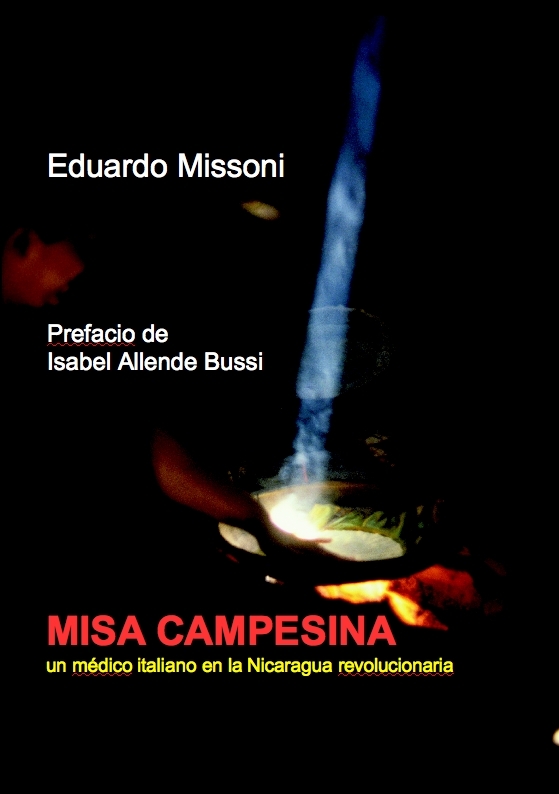 The Neapolitan tradition of the caffè sospeso inspires today many groups of people and lead to similar practice and more or less organised initiatives and solidarity networks in many countries around the world (26). Although the participation in the Open-source movement is often and individual choice, hundreds of organised groups have been established on that principle. In the case of the Scout movement, today possibly the largest transnational youth-targeted non-formal education movement worldwide , its growth over more than hundred years is based on a well defined, values-driven educational method for “Good citizenship” (4) putting strong emphasis on helping others. Several studies have explored the determinants of individual generosity and propensity to donation, and specifically blood donation, including the effect of people’s pro-social motivation. However, the potential propensity to blood donation of groups of specifically organised around principles of solidarity and cooperation is still to be further explored. If we assume a high donation potential for people in this kind of organisations, the propensity to donate is probably much higher for young adults who spent many years of their childhood and adolescence in values-driven organisations whose objective is the education to social commitment, such as those belonging to the Scout Movement. The objective of this paper is to preliminarily reflect on the donation potential of youth in value-driven non-formal education organisations, using the Scout Movement as a specific case. Volume and increase of spending in the health sector contribute to economic growth, but do not consistently relate with better health. Instead, unsatisfactory health trends, health systems’ inefficiencies, and high costs are linked to the globalization of a growth society dominated by neoliberal economic ideas and policies of privatization, deregulation, and liberalization. 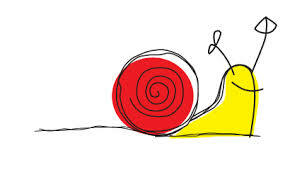 A degrowth approach, understood as frame that connects diverse ideas, concepts, and proposals alternative to growth as a societal objective, can contribute to better health and a more efficient use of health systems. However, action for change of individual and collective behaviors alone is not enough to influence social determinants and counteract powerful and harmful market forces. The quality and characteristics of health policies need to be rethought, and public policies in all sectors should be formulated taking into consideration their impact on health. A paradigmatic shift toward a more caring, equitable, and sustainable degrowth society will require supportive policies at national level and citizens’ engagement at community level. Nevertheless, due to global interdependence and the unavoidable interactions between global forces and national systems, a deep rethinking of global health governance and its reformulation into global governance for health are essential. To support degrowth and health, a strong alliance between committed national and global leaderships, above all the World Health Organization, and a well-informed, transnationally interconnected, worldwide active civil society is essential to include and defend health objectives and priorities in all policies and at all levels, including through the regulation of global market forces. according to the beautiful image proposed by Edgar Morin we all form the crew of the spaceship Earth, sharing a common planetary destiny. However, we do not seem to realize the fragility of our ship and the unsustainability of this consumerist growth society. Environmental degradation and The increased frequency of natural disasters; old and new conflicts’ barbarities; increasing social inequalities, avoidable diseases, deaths and suffering of millions of people; corruption, abuses and prevarication, are mostly the product of a society promoting competition, profit maximization, and the commodification of every human relation. For the spaceship to safely continue its galactic journey, my wishes are for everyone’s commitment for the Common Good and the collective interest. Let’s prevail cooperation over competition; quality over quantity; being over appearing. Let’s be thrifty in the use of natural resources and avoid wasting. Let’s value culture, knowledge, and natural beauty, against every utilitarian logic. Let’s defend, together and bravely, Life and the future of Mother Earth and each one of her inhabitants. según la bella imagen de Edgar Morin formamos tod@s la tripulación de la pequeña nave espacial Tierra y compartimos un destino planetario común. No obstante, parece que no nos damos cuenta de la fragilidad de la nave y de la no sustentabilidad de esta sociedad del crecimiento y del consumo. El degrado del medioambiente y los desastres naturales que se verifican con creciente frecuencia; la barbarie de antiguos y nuevos conflictos; las crecientes desigualdades sociales, enfermedades, muertes y sufrimientos evitables de millones de personas; corrupción, abusos y prevaricación, son en máxima parte producto de una sociedad que promueve la competición, la maximización de la ganancia, y la mercantilización de toda relación humana. Para que la pequeña nave pueda seguir tranquila su viaje sideral, mis deseos son que nos empeñemos para el bien común y el interés colectivo. Hagamos prevalecer la cooperación sobre la competición; la calidad sobre la cantidad; el ser sobre el aparecer. Utilicemos con parsimonia los recursos naturales y evitemos todo desperdicio. Valoricemos la cultura, el saber, las bellezas naturales, contra toda lógica utilitarista. Defendemos, juntos y con valor, la Vida y el futuro de la Madre Tierra e di cadaun@ de sus habitantes.